This is a stunning designer floor rug which is hand made in Nepal by women under the Fair Trade act. 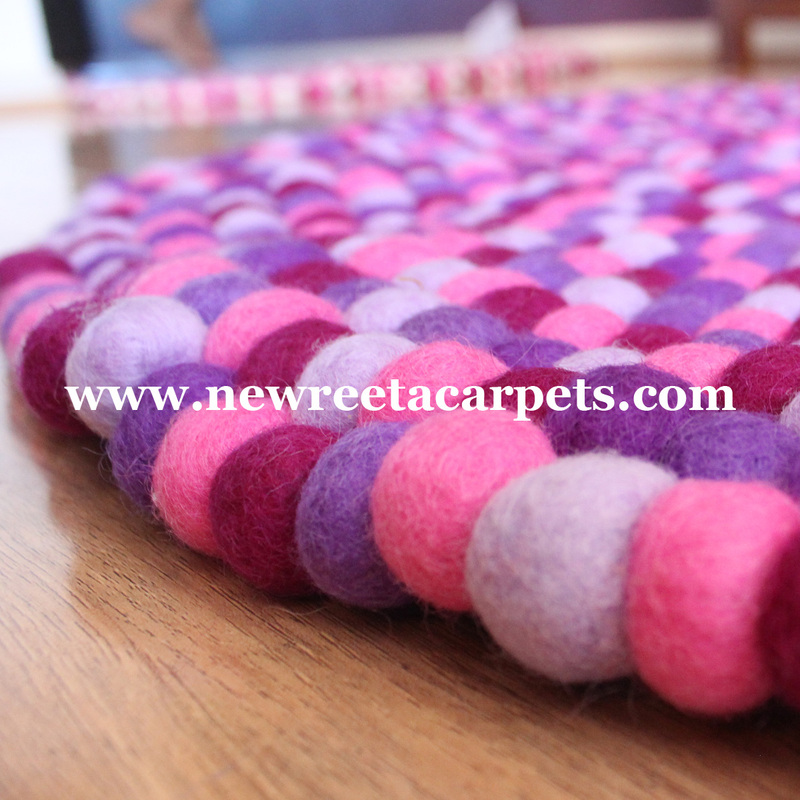 Each felt ball is hand dyed with individually chosen colours, then hand sewn not glued creating a wonderful soft natural fibre floor mat/rug which is soft to lay on and soft under foot. 1. Simply choose the size that you like from the drop down list below. 2. Select the quantity . 3. Click on “Add to Cart”. 4. Your updated cart will appear on the top of the page. 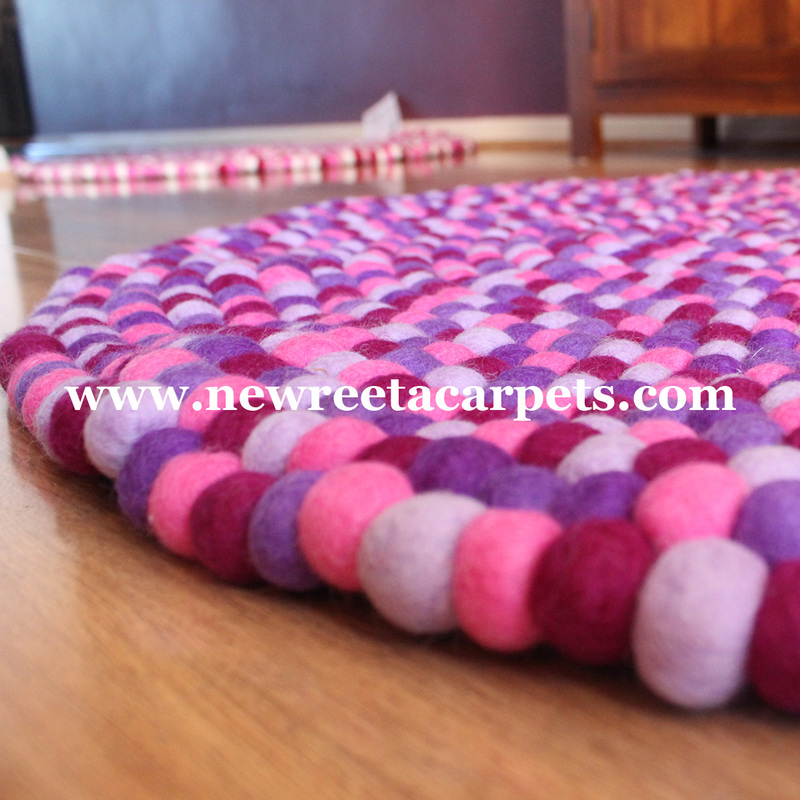 Purple felt ball rug is made from 100% New Zealand Wool and is handmade at our factory at New Reeta Carpets in Nepal. 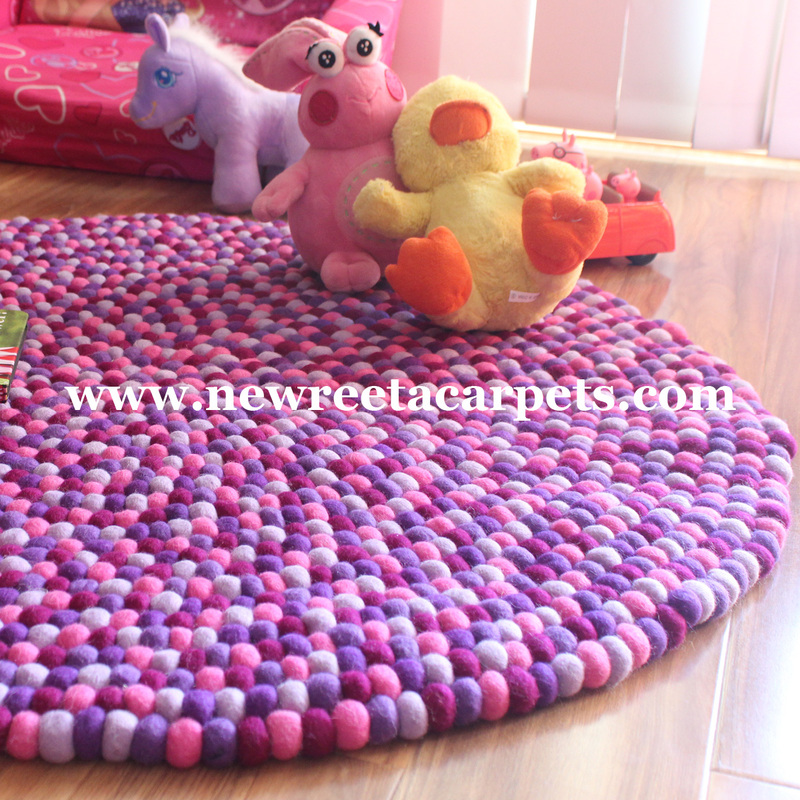 These purple felt ball rug is hand sewn together and can be used on both sides. 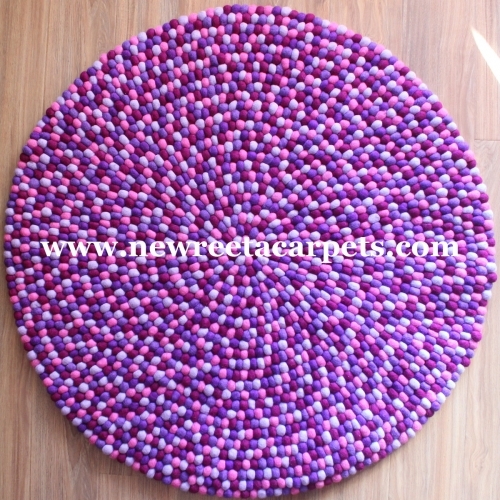 These amazing purple rugs are perfect for any room in the house. With the flair and creativity of the design these heavy duty rugs would last a lifetime and are sure to make a statement. Each felt ball is 100% New Zealand soft wool, is felted and then hand stitched together. We ship stock goods within 5 days of payment confirmation. For custom orders we deliver within then 10 days from the time order is confirmed. Your goods are delivered via TNT express and will be updated with the TNT tracking number once the goods are shipped from Nepal. We ship worldwide including Australia, Europe, America and Asia. While most countries are exempt from any further taxes of fees while buying these rugs, in some countries ( particularly in Europe), you may have to pay small amount of local taxes while receiving the goods. Since we ship the goods directly from Nepal, you will be required to pay any additional costs and charges. We will be not responsible for any additional charges that is applied by your country.